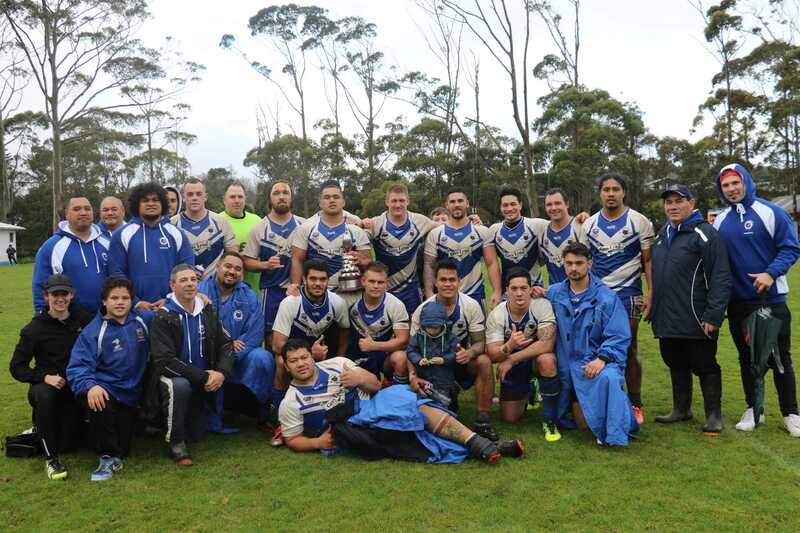 The Glenora Bears have secured the Konica Minolta Roope Rooster Challenge Trophy for the 2017 season after holding a 20 all draw against Pt Chevalier in Round 16 of the SAS Fox Memorial Premiership on Saturday. A try on the hooter safeguarded the Bears from losing the silverware, holding the trophy for the fourth time since its inception in 1915 (1960, 1978, 1999, and 2017). Glenora have also secured a spot in the competitions top four, seeing them advance to the 2017 semi-finals alongside Pt Chevalier (1st), Mt Albert (3rd) and Howick (4th). Although the top four have been confirmed, the order in which they finish will depend on the results from the final two rounds. Te Atatu have moved out of the firing line of being relegated to the Crown Lift Trucks Sharman Cup division after taking down Mangere East 28-6 last weekend. Victory over the Hawks moves them just one-point ahead, however they will need to be focused with two games remaining against high-flyers Mt Albert and Glenora. Despite the loss, Mangere East's hopes to stay in the Fox are still alive with games against Northcote and Marist in the remaining rounds. Papakura's hopes to qualify in this year's finals have come to an end after going down 24-18 to the Northcote Tigers. The Tigers dominated the first 20 minutes of both halves. The Sea Eagles gained momentum on the back-end of both, but it was too little too late for the defending champions. Papakura captain Willie Stowers said it was a tough loss to take. "At the end of the day it came down to execution," said Stowers. "We managed to get down to our try line but we made mistakes… losing co-captain Roman Hifo in the first half hurt us a little, but that's no excuse." "We are all footy players, we all know how to play good footy. We just need to get it together when we get on the field. "Top four is probably out of reach now… regardless of where we are on the ladder, we want to finish our season on a high." It was a successful weekend for the Marist Saints with an upset against Howick 28-26 at Paparoa Park last Saturday. The loss moved the Hornets from third to fourth on the competition ladder, while the Saints remain seventh. In the final game, Mt Albert took down the Richmond Rovers 38-10. It's a tight contest in the Crown Lift Trucks Sharman Cup Premiership division. Otara (1st) and Otahuhu (2nd) currently lead the competition ladder on 18 points while Bay Roskill trail two points behind on 16. The Bay Roskill Vikings (3rd) have a chance to move further up the ladder when they play the Otara Scorpions at home this weekend, but it’s a race between Ponsonby (4th) and Manurewa (5th) - separated by three points - to see who will qualify for play-offs. East Coast Bays, Waitemata and Manukau have secured their spot to play for the Sharman Cup Plate this year. The race to make top four is on the line when Hibiscus Coast play Manukau in the final round of the competition this weekend. Hibiscus Coast currently sit fourth on the ladder on nine points, while Pakuranga trail on eight. However, Pakuranga will receive an automatic two-points for their bye this weekend, leaving the Raiders to chase for a win and a chance to play in the semi-finals. Watch the live stream replay from Round 16 of the SAS Fox Memorial Papakura v Northcote here. Click here to view results, ladder and this week's fixtures.